Lisa Tamati gets asked one question more than any other: 'Why do you do it?' In Running to Extremes, she attempts to answer that question and many more about ultramarathon running.In the past few years, Lisa has taken part in some of the most gruelling races on earth. Not content with having run the Badwater Ultramarathon once, she's been back and done it a second time. She's also completed the Gobi March, and a race in the Egyptian Sahara. However, none of these could have prepared her for her greatest challenge to date: La Ultra, a 222-kilometre non-stop race over two Himalayan mountain passes. 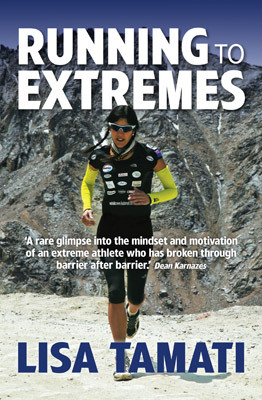 Lisa Tamati is New Zealand's best known ultramarathon runner. Since the publication of her first book, Running Hot, she has gone on to run ultramarathons in the Gobi Desert, the Sahara Desert and the Himalayas.